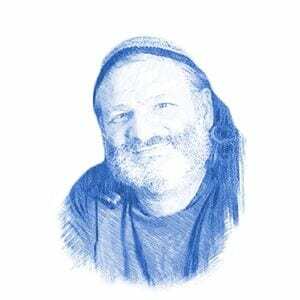 Message From Autistic Child in Jerusalem: Messiah is About to be Revealed - Breaking Israel News | Latest News. Biblical Perspective. A new message from an autistic man in Jerusalem said to be gifted with the power of prophecy warns that the difficult times preceding Messiah are very near while explaining that the preparations may not be what you think. Daniel seems to be referring to a prophecy written in the Zohar that states that in the end of days, astronomical phenomena, including a war between seven stars, will be seen from earth. “The only way to save ourselves is full confidence in God,” Daniel said. “Even if you have a bunker, weapons, food, and water, all you need for a few years, it will not help you if you do not do teshuvah (repentance). And if you do teshuvah, God will take care of you: food, water, electricity and all that is needed. [The end-of-days] will be like when the Jews left Egypt. And just as the plagues did not harm the Am Yisrael, the Jews will not suffer. Daniel transmits his messages via facilitated communication (FC), a technique that has been in use since at least 1985 as a way of communicating with those who cannot speak normally. Proponents of the technique claim that people with debilitating autism or severe mental retardation actually can communicate if given the physical support of pointing at letters on an alphabet board or by typing on a keyboard. This special prophetic ability of shotim was also stated in the Zohar, the basis for Jewish mysticism. Rabbi Eliyahu Dessler, one of the greatest Jewish philosophers of the 20th century, explained how it could be that prophecy, requiring a high spiritual awareness, could come as a result of what is considered a developmental disorder. Rabbi Lazer Brody, an American-born Hasidic rabbi and teacher, has met with several autistic children. He cited Rabbi Avraham Yeshaya Karelitz, the leader of Haredi Judaism in Israel in the first half of the twentieth century, known as the Chazon Ish. Rabbi Brody described one young man who has absolutely no social skills and cannot communicate in a normal fashion. “I am in contact with many families with autistic children and they are each and every one awesome people coping with enormous challenges,” Rabbi Brody said. Daniel described himself in the beginning of his book, telling of the challenges as well as the spiritual heights. “We are souls sent to this world to rectify past sins. For klal yisroel (the nation of Israel) we are another opportunity to do chesed (kindness). For the parents and siblings, we are a test of their bitachon (faith) and love of Hashem. Remember what I have written and take it to heart for time is running out. In our poor lowly generation, whose bitachon is in material things, we, the mentally handicapped Jewish souls, show to all willing Jews a glimpse of God’s Truth.